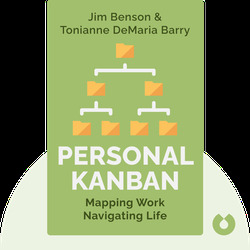 Personal Kanban (2011) is an adaptable tool for visually oriented people. It’ll help you to organize your life and your work, and to strike a balance between the two. 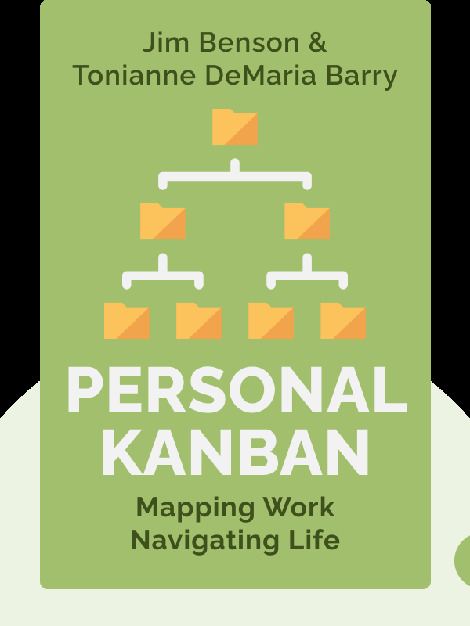 These blinks teach you how to set up your own Kanban and how to put it into action, thereby maximizing your efficiency; they also provide insights into life patterns, allowing you to measure progress and limit the tasks on your plate. Jim Benson has worked for a broad range of organizations – from government agencies to Fortune 10 corporations to startups. He co-owns the software development copy Modus Cooperandi and is a management consultant who uses Personal Kanban to improve working environments. Tonianne DeMaria Barry is a management consultant. She’s worked in the fashion industry as well as for government agencies, non-profit associations, Fortune 100 corporations and startups.